MJX Bugs 3 Pro Review [2018 Drone] The best affordable drone ever ? 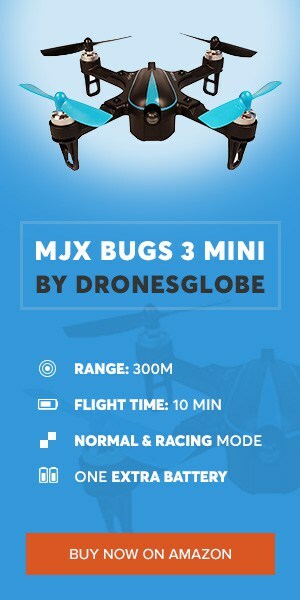 MJX is definitely one of the hottest drone brands at the moment. Their hard work is getting noticed by the masses, that’s for sure! After a massive success with MJX Bugs 2W, they’ve now announced several brand new models that are hitting the market soon enough. With MJX Bugs 3 Mini already looking like a huge hit, my focus is slowly turning to a proper Bugs 3 successor. It goes by the name MJX Bugs 3 Pro and one thing is certain – it looks EPIC! But, with major Bugs 3 price drops, is it worth investing in the Pro version? In other words, are the changes well worth the extra money? Well, I don’t want to spoil too much right off the bat… so I’ll just say that its looks aren’t the only aspect I like about it! Great design – Even though it sort of resembles the original version, Bugs 3 Pro’s design looks absolutely sharp with nice black and white contrast. The build quality has remained on the same (very high) level, so no complaints in that department either. High capacity battery – Bugs 3 Pro comes with a 2,800mAh LiPo battery. Better yet – we are talking about a 2S LiPo which can deliver 7.4V of pure power for those speedy brushless motors. 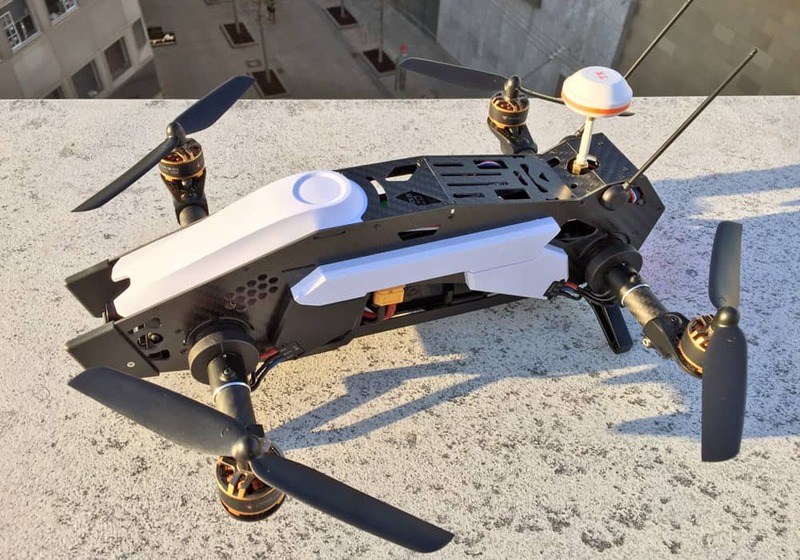 Camera mount – This drone sports a specialized camera mount that allows mounting of not only GoPro action cameras but other brands as well. 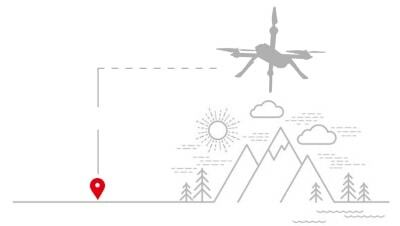 GPS – With proper GPS reception (more than 7 satellites), your drone will have pinpoint hovering accuracy and will be able to automatically return to its initial takeoff location in case something goes wrong. Flight time – Thanks to the above-mentioned 2,800mAh 2S LiPo battery, MJX Bugs 3 Pro has a flight duration of up to 22 minutes. 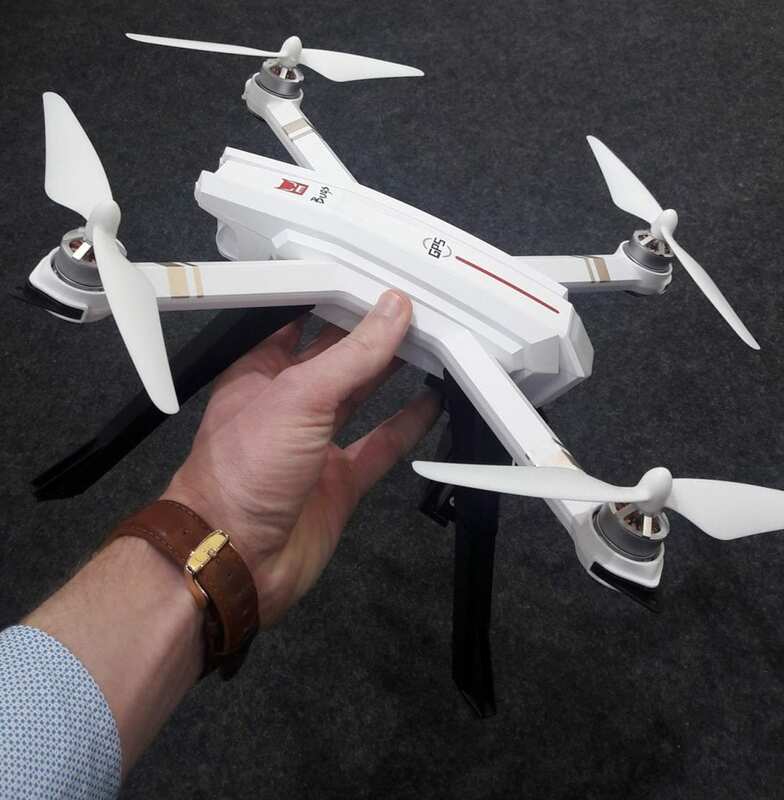 Operating range – As far as operating range is concerned, there is no doubt this drone is at the top of the food chain in its price range. With approximately 600 to 800 meters of open space around the transmitter, only a few other drones with a similar prize tag can boast with the same. Lacking a camera – Even though Bugs 3 Pro comes with an action camera mount, I still expected it to come with some sort of a camera. Proprietary battery – This will be a major turnoff for many people who already own plenty of LiPo batteries. Besides those two, Bugs 3 Pro doesn’t really have any more downsides. If we take MJX Bugs 3 as the base reference, there is no doubt Bugs 3 Pro sports more than a fair share of upgrades. For starters, the standard version is not a smart drone by any means. It doesn’t have GPS, any form of autonomous features or even altitude hold for that matter. On the other hand, MJX Bugs 3 Pro does not only sport altitude hold but GPS as well. 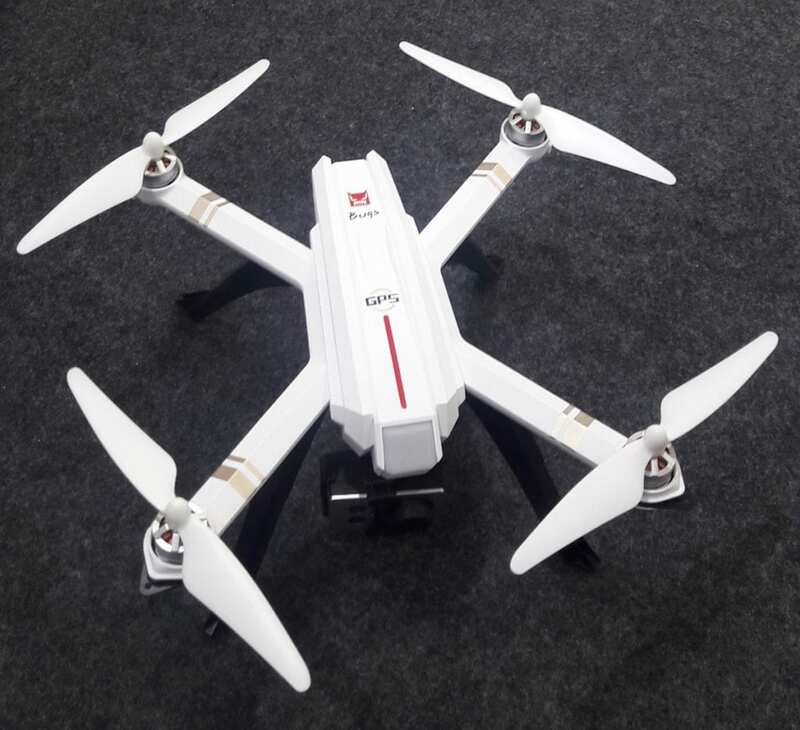 This ensures optimal flight performance and safety, allowing you to have a peace of mind while trying to take awesome aerial videos. Flight stability is really impressive, even during windy weather… which is surprising to see from a mid-tier drone. There is a dedicated RTH button on the provided transmitter that will, once pressed and connected to at least 7 satellites, command the drone to enter RTH mode. While in this mode, the drone will start moving towards its prerecorded takeoff location. You can still control your drone while it’s coming back to you in order to avoid any potential obstacles that might come in its way. If you change your mind, you can always press RTH button again and the drone will exit RTH mode. Bugs 3 Pro has failsafe RTH too. What this means is that if the drone loses transmitter connection for more than 6 seconds it will automatically turn on its failsafe protocol, ensuring it flies back to safety. Of course, it needs to have a sufficient number of satellite connections (7) in order to do so. Once the connection between the transmitter and drone’s receiver is back up and running, you can press the RTH button to take full control over your drone. If your drone’s battery goes down to critical levels, low voltage return to home function will turn on. This will guarantee your drone returns safely to its takeoff location. There will also be a series of short beeps notifying you that your drone is running low on battery. You can also see this on your transmitter’s display via RxBat icon. Another way of recognizing low battery voltage is flashing red LED’s on your drone which will alarm you to land manually before low voltage RTH kicks in. Back in late 2016, MJX announced their Bugs series of drones will be mighty beasts equipped with powerful brushless motors and extremely aggressive price tags. And they haven’t disappointed us at all. Take the original Bugs 3 as the perfect example – even though it was primarily meant as an entry-level aerial photography drone, it was surprisingly fast for such a bulky model. MJX Bugs 3 Pro takes things to a completely new level though. With new and improved brushless motors, this birdie is bound to have a proper punch. 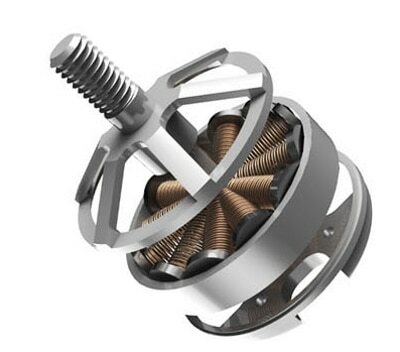 More precisely, we are talking about MT2204 1500Kv motors with great efficiency and lightweight design for their form factor. With up to 230g of upward lift, there’s no doubt Bugs 3 Pro will be able to bring a sport camera for a spin. As for the supporting technology, MJX has implemented their unique motor braking system that’s mounted on each of the 4 independent ESCs. 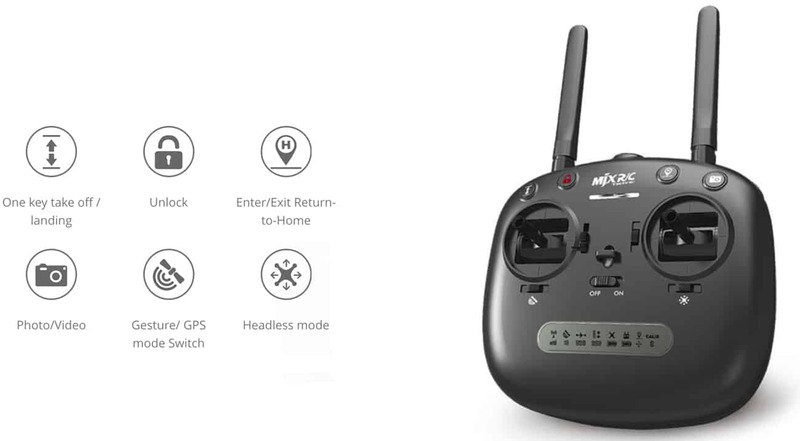 This system ensures flight safety as well as motor protection, making it a valuable asset to MJX Bugs 3 Pro review. In addition to all this, B3P also has altitude hold. Yes, the throttle stick is spring loaded meaning it will stay in the middle as opposed to non-altitude hold devices. If you want to lower your drone’s altitude simply hold the throttle stick down. If you want up, hold it up; otherwise, your drone will stay at a constant height. This is good for recording aerial videos as it allows you to fully focus on the task at hand instead of having to manually control the drone. We are used to seeing 2S batteries at this price point, but they usually either have low capacity or solid-at-best C rating. When it comes to Bugs 3 Pro, I’m sure most of you will be surprised by its 2,800Mah 2S LiPo battery. It does have a proprietary plug which is something lots of you won’t appreciate, but that was expected knowing their other models sporting similarly designed batteries. But how long can this monstrosity keep B3 Pro in the air? 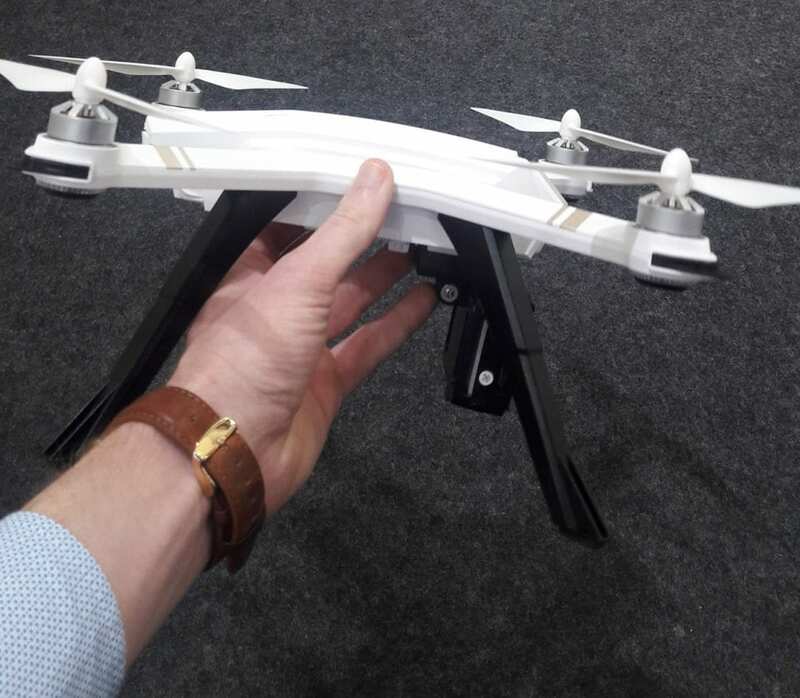 Supposedly, you can expect around 22 minutes of flight time even with an action camera mounted below it. The controller has received a slight modification. They’ve included 2 separate foldable antennas this time around which adds to the overall design. The button layout has remained roughly the same with shoulder buttons being moved to the front side of the transmitter. The biggest change is definitely the display which has been completely redesigned. Instead of going with a boxy design they’ve gone ahead with a toolbar sporting all the features and telemetry available. And last but not least, the smart low voltage buzzer is here as well, ensuring flight reliability just like with the popular Bugs 2W. While the drone is stationary and placed on the ground, you can use this key to automatically takeoff from the current position. If the drone is already in the air, pressing this button will make it gently land on the ground below. Automatic takeoff/landing button is located on the upper left side of the controller, right next to the red unlock button. Unlock button has only one purpose and that is to arm (AKA unlock) the motors. After the initial compass calibration, you will first have to press this button in order to start up the motors. After that, you can either use the automatic takeoff/landing button or perform a manual takeoff. RTH Button is located on the upper right portion of the transmitter, above the right analog stick. By pressing this button you are issuing an RTH command to your drone which will then start moving back towards it takeoff location. By pressing this button again you can turn RTH mode off and regain control over your drone. Beneath the left analog stick, you will find a switch for turning GPS connectivity on or off. When turned off, your drone will rely solely on its barometer readings and won’t be that precise stability-wise. However, it will be slightly faster and consume less battery power. On the other hand, when GPS is turned on you can expect pinpoint stability as well as RTH accuracy. It will, however, use more battery and make your drone’s flight a bit slower. Beneath the right analog stick, you will find a switch for turning headless mode on or off. 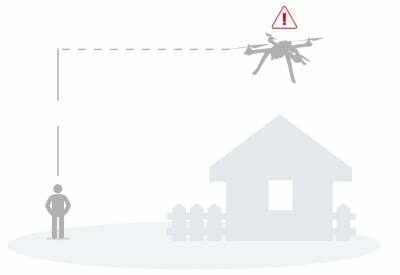 If it’s turned on, your drone will respond to your commands as seen from your perspective without taking into consideration the drone’s orientation. 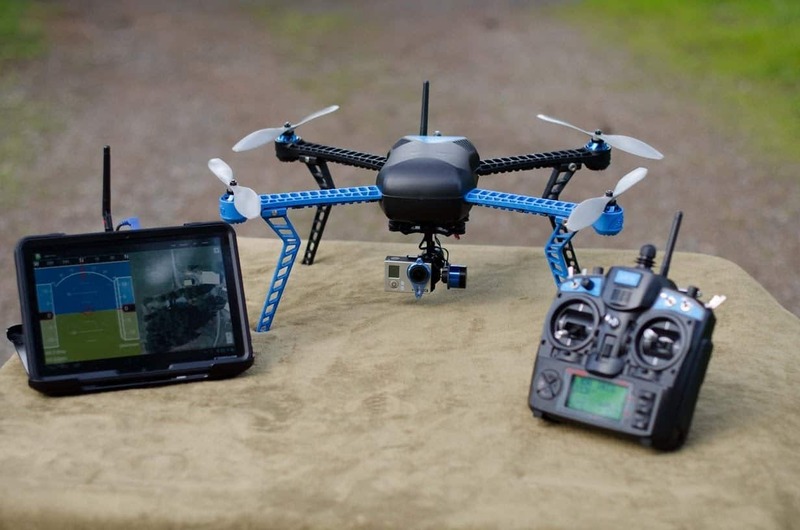 This feature is common on the market and it greatly improves beginners’ chances of not wrecking a drone during the first few minutes flying it. In the middle of your transmitter, you will find the on/off button. Well, technically it is not a button but a classic on/off switch we are seeing on virtually every transmitter out there. Distance – The distance between the transmitter and drone expressed in meters. 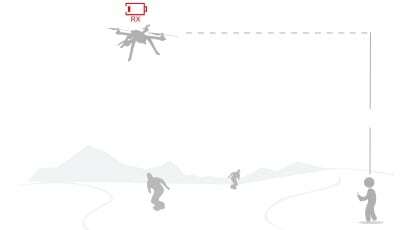 Altitude – The altitude between the takeoff and current drone’s position. During our MJX Bugs 3 Pro review, we found out that just like the original B3, B3 Pro sports a dedicated mount for action cameras. Besides GoPro HERO series, this mount works for other action camera brands including Xiaomi Xiaoyi models. If you want a more native experience, you can always go for MJX C5000 or C6000 cameras which feature full support for the MJX Bugs Go app. MJX Bugs 3 Pro has basically the same propeller mounting mechanism just like Bugs 2W. It features thick and high-angled 7.4-inch 2 bladed propellers that can provide that extra bit of speed and maneuverability. Just like on Bugs 2W, there are markings on the props which state whether it’s clockwise or counter-clockwise (A or B with unlocking icon in the corresponding direction). It doesn’t get simpler than that, no doubt about it! With a really aggressive price tag and excellent hardware inside, there is no doubt Bugs 3 Pro will be a huge hit. 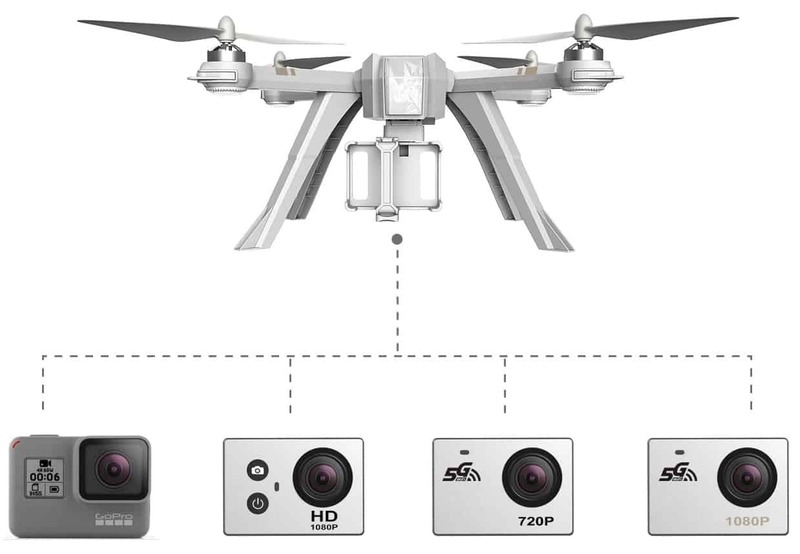 It is incredibly stable and thanks to the specialized action camera mount you can record brilliant aerial videos. Of course, there’s the obvious lack of a proper physical gimbal but that’s not that big of a deal considering this price point… and the stability of the drone itself. If we take everything into consideration, we have to agree on one thing – Bugs 3 Pro is a definite improvement over the standard version. 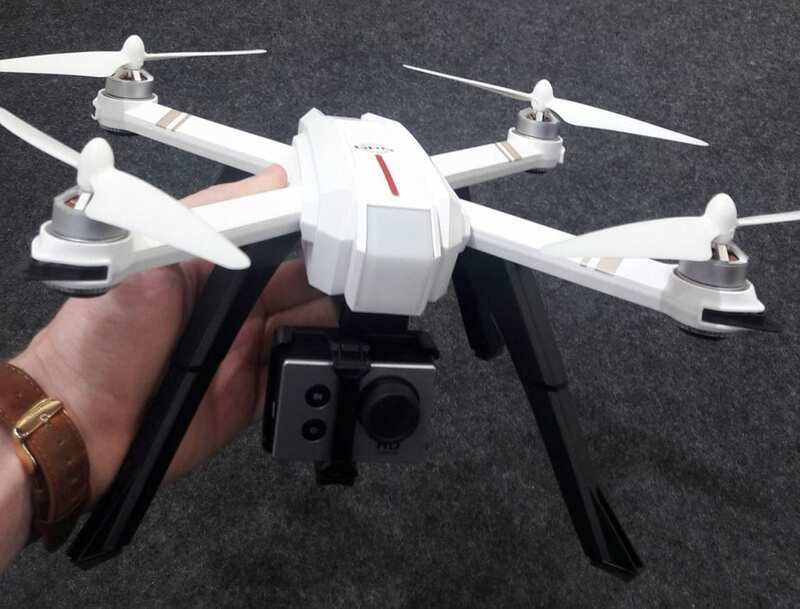 Thanks to GPS, independent ESCs and altitude hold, there’s nothing stopping Bugs 3 Pro from becoming the best entry level aerial photography drone… Although, it would be taking the crown from its predecessor. Great in depth Review! Do you have any rough idea when the bugs 3 pro will come out? Hello, and is it known, at least approximately what will be its weight (without a camera)? Hello! Definitely looks like my dream drone! Any info we can get about the estimated price? Is it safe to assume it will be arund 200 dollars? I plan to wait and buy this over the original bugs 3. Thanks! When is this one available for purchase ?